Arguing about Law introduces philosophy of law in an accessible and engaging way. The reader covers a wide range of topics, from general jurisprudence, law, the state and the individual, to topics in normative legal theory, as well as the theoretical foundations of public and private law. In addition to including many classics, Arguing About Law also includes both non-traditional selections and discussion of timely topical issues like the legal dimension of the war on terror. the nature of law legality and morality the rule of law the duty to obey the law legal enforcement of sexual morality the nature of rights rights in an age of terror constitutional theory tort theory. 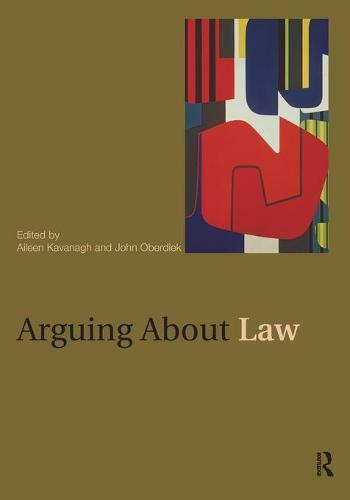 Arguing About Law is an inventive and stimulating reader for students new to philosophy of law, legal theory and jurisprudence.